Summer has arrived and for many of us that means we will be spending a lot of time in our cars. We drive to sporting events, concerts, camping and fishing trips, and some of us head to the mountains for a little off-roading! But no matter how you spend your summer, you want your car to get you where you want to go! To help you make that happen, we suggest you have your vehicle checked to see if it’s in need of a differential service. Whether your vehicle is a front-wheel drive, rear-wheel drive, or four-wheel drive, it has a differential, maybe even two or three. The differential is a special gear box located between the drive wheels of your car. The differential allows the wheels to turn at different speeds while still providing power. 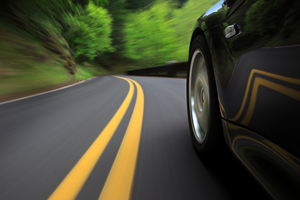 Without a differential, our tires would rub and hop along the pavement, instead of gliding smoothly during turns. Rear wheel drive vehicles have a differential in back. The majority of four-wheel drive trucks and SUVs will also have a similar differential on the front axle. But no matter where they are located, all of the engine’s power is routed through your car’s differentials. In order to perform their purpose, they need to be properly lubricated. You can accomplish this by having a differential service done regularly on your vehicle. A differential service is simply having the used fluid drained and replacing it with clean fluid. Neglecting to change the differential fluid can cause poor performance, premature wear, noise and even failure. 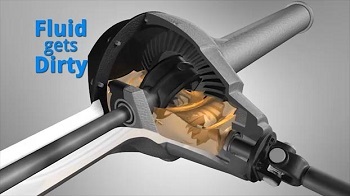 Replacing a differential assembly can cost as much as $1500, so don’t let that happen to you. 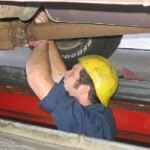 The benefits of having a differential service are numerous. It removes metal shavings and other contaminants that naturally enter the differential during normal operation. A differential service reduces heat levels inside the differential and protects against friction, rust and corrosion. It extends the life of your differential and provides protection especially under extreme conditions. To keep the expensive metal parts of your vehicle protected, it’s important to have the differential fluid checked and changed at recommended intervals. The mileage interval for servicing your differential can vary according to the type of vehicle you drive, and how and where you drive it. Check with your service adviser or your owner’s manual for recommendations.